It’s not just the mills and factories that have been lost, but also the homes for the workers and the owners. 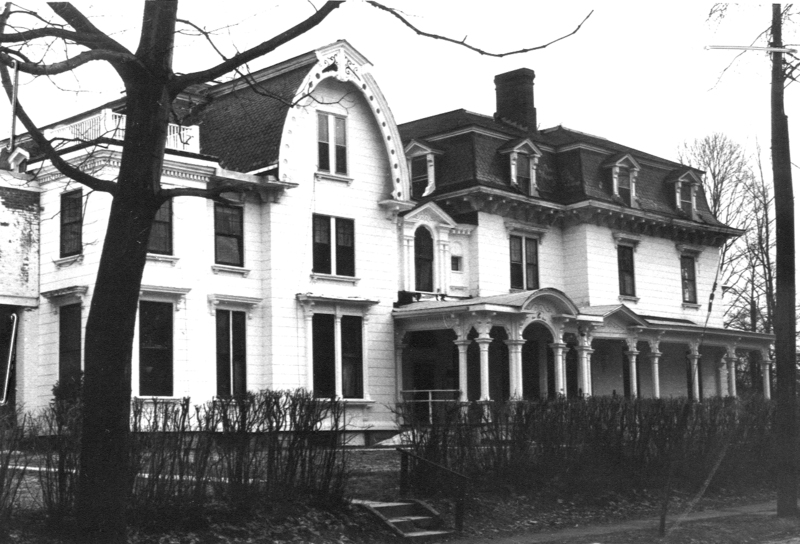 Down the street from Park Square and near other prominent citizens and business leaders stood the expansive home of Edward Learned who was a principal investor in the Taconic and Pittsfield Woolen Mills and later served as President of Bel-Air Manufacturing. A civil engineer, Learned thought and acted grand, involving himself in spectacular ventures including silver mining on Lake Superior and constructing a trans-isthmus railway in Mexico. Learned brought his sense for grandeur to Elmwood which he bought in 1854 from the owner of a bakery who had built it just one year earlier. The Learned family owned the house for 60 years and continued to expand with multiple outbuildings and renovations to the main home, making it one of the most spectacular residences in the city. With their 12th child born during the Civil War, the Learneds added a third story along with the curved front gable and mansard roof. The elaborate millwork of the wood railings and columns on the porches added to the decorative elements so common to Gilded Age homes. The house was large enough to accommodate Miss Hall’s School which rented the premises following Learned’s death. The school stayed for almost ten years in the early 1900s before it moved to its present location. Gradually, the Learneds sold off parcels of the estate and by 1932, Learned’s daughter had converted the house into apartments. Drive by the site on Bartlett Avenue, and all that can be seen is a blacktop driveway and a field. The house which had continued as apartments into the current century, burned in a frightful five-alarm blaze on May 11, 2011, depriving Pittsfield of one of its most distinctive homes. My wife is a descendant of Edward Learned — The family very much appreciates this information being posted. We were lucky enough to see the house once before it burned.